HEADHUNTERS SAYS Sow Bugs are the most important food source for trout in many western tailwaters (and spring creeks! ), and the Missouri River is no exception. We have a huge sow bug population, and fish feed on them 365 days a year. The Tailwater Sow is the most popular pattern on the river, and the original no-bead version shown here remains one of the most productive nymphs on the Missouri River. 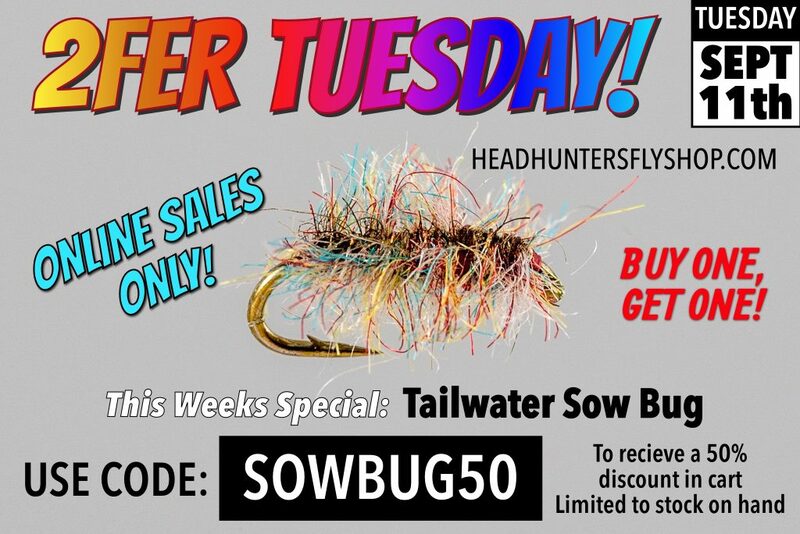 We love the Tailwater Sow Bug. It accompanies most nymphs rigs all 12 months here fishing Montana’s Missouri River. We order these by the pallet. A bug that a fly shop should not run out of here in central Montana. We are headed into our annual Super Sow Bug Season too. Guides stock up on these for the next 8 weeks of fall fishing. Sometimes there will be two on each rod! Honest. A great all season fly for this and many other trout tailwaters. 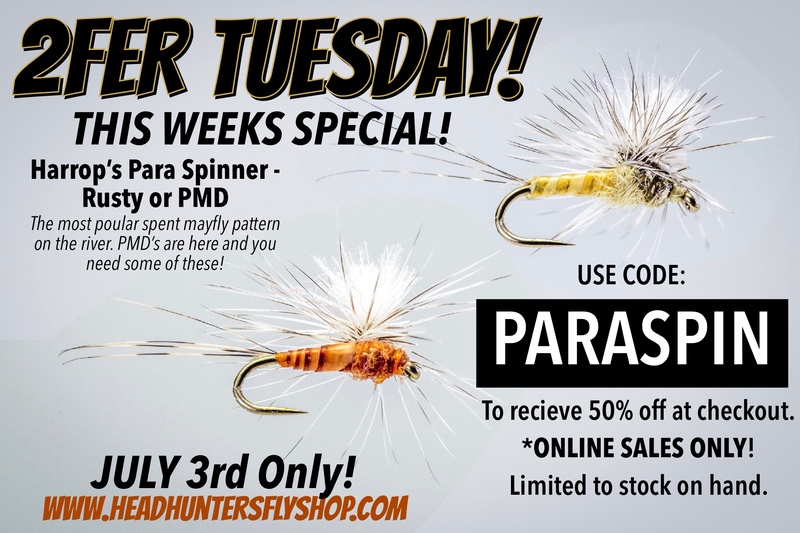 Enter 2FER TEUSDAY Code SOWBUG50 in the coupon code box when checking out online. 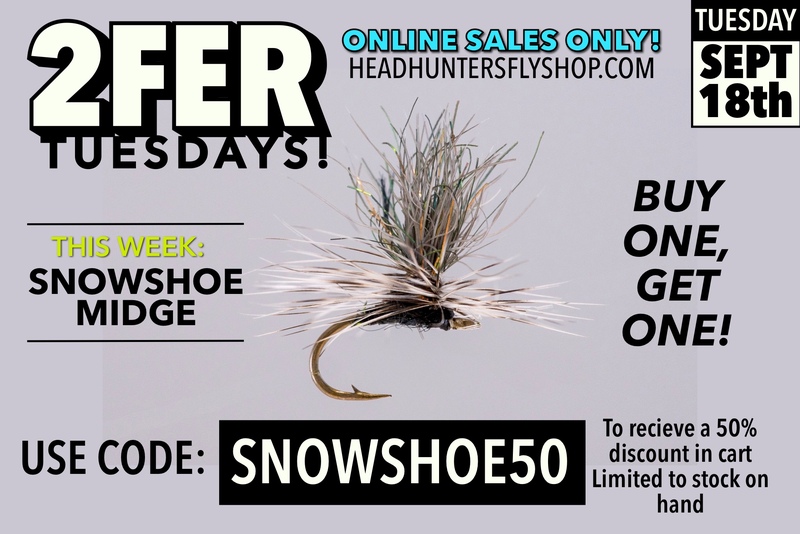 2FER Tuesday SnowShoe Midge BOGO!